Headlines: Well what a difference some nice, warm, relatively windless days have made. Fishing conditions improved over the weekend and the fishing improved out of sight with them. Eucumbene has picked up dramatically for trollers and also fly anglers. With the Lake continuing to rise it is now at 33% plus! and the fishing is improving rapidly. 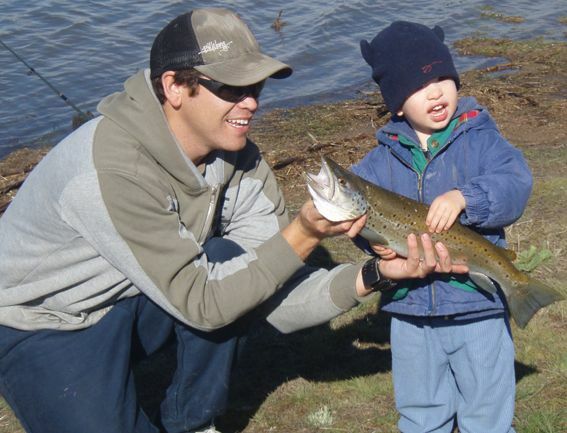 The Yamaha and Freshwater Fishing Australia, Snowy Mountains Trout Festival is drawing closer. This year sees the addition of a new 'soft plastics' category. Once againg there is the chance to win a Quintrex boat, Yamaha Outboard Motor, Minn Kota electric motor and Humminbird sounder all on a trailer ready to go. 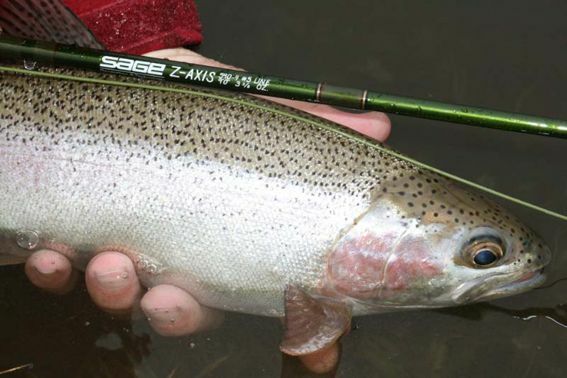 Rivers:- Have fished very well over the weekend with the Thredbo and Eucumbene holding good numbers of fish. Glo bugs and nymphs, as usual were the best patterns and weight was needed with the fast flow in both rivers. With many of the mountain rivers and streams are flowing hard so weighted flies are the best option to get down where fish are holding. With the warmer weather dries will be great to search with also. Try a larger stimulator in the fast water or, on the larger slower pools, an emerger or parachute style dry as these can work very well. Termites have been on the wing this week so a couple of ant patterns should be in your box in case of a fall of these insects. 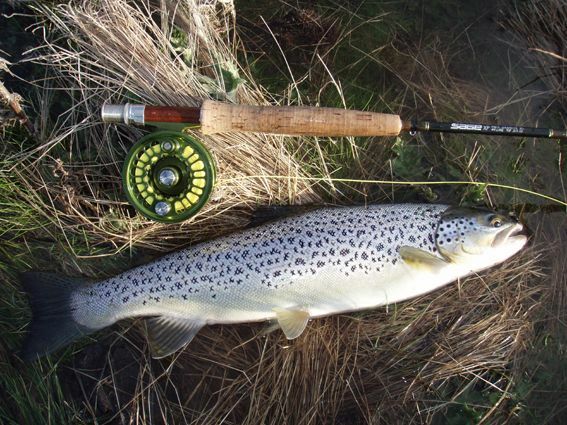 Other rivers will also fish well and if the weather is warm enough some dry fly fishing is certainly on the cards. Try patterns like the Elk hair caddis, klinkhamer, royal wullf, humpy, adams, bluewing olive, stimulator, bushy's emerger. Used the new Z-Axis on opening weekend. exceeded expectations. handled heavy beads no problems. My brother and I cleaned up with about 140 rainbows on euc and thredbo over two days. Lots of people about and in good spirits. still saw quite a few anglers struggle with the high flows rates but most got some fish. Lake Eucumbene:- Fly reports have picked up with some nice fish being taken off the bank in several areas. 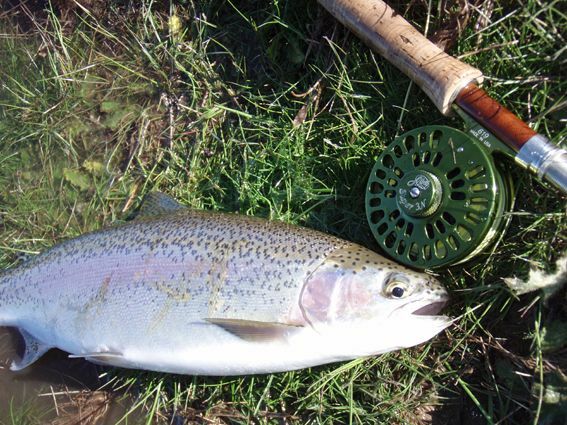 Searching with wets and small nymphs has been productive on the rainbows at all times of the day and all weather conditions. Polaroiding has been excellent in the lake with plenty of fish being spotted in many, many areas. Gettting them to eat can be a bit of a challenge, but there have been plenty of opportunities for many anglers. The thrill of watching a fish speed up and eat you offering makes this method very exciting. Last years dead thistles that are in the water can be a challenge, but the fish can be found cruising right in close in some of these areas. There are midge, small beetles, thistle grubs, corixa, slugs, and who knows what else that the fish are feeding up on in these areas. Evenings and first light of a morning have still been the best though you can polaroid the daytime for some nice rainbows and browns if conditions allow. Already there are reports of midges moving in the mornings and this should be the start of a great midge year. Fish have been found to have lots of black beetles (around a size 14 or 16) as well as numerous small grubs in them. These have been drowned with the rapidly rising water. It is a great time to be on the lake at present. *Polaroided fifteen odd fish myself on Sunday. They were a bit tricky but still managed a couple of nice fish, with both eating a midge pupa. Eucumbene:- Eucumbene trolling haspicked up dramatically with some very good reports. Keep an eye open for floating debris in the lake at present. Leadcore line trolling has been working well with tassies, cobras and vibes this week. 2-3 colours has been the best. The deeper water off Cobrabald and Yens bays has produced some nice rainbows. *One group had a 22 fish session on Monday. Lots of quality fish and all on leadcore with Lofty's Cobras. Mick and Meg Couvee had a quick troll on the weekend and landed nine good conditioned fish. White coloured tassies were the pick of the lures. I took my 6 year old daughter Reese up to Kalkite on the weekend for the first time. Let's say I don't think it will be possible to leave her at home again. We arrived around 3pm Sat and the weather wasn't looking good, so we set up camp after putting the rods in. Twenty minutes later her rod bent over and on the other end was a healthy brown. 6pm we went for a troll and she nabbed an even bigger Brown. Back to camp at 7 for dinner and then off to bed she went. Sunday morning we were up at first light and I scored a small rainbow before she caught her biggest fish, a healthy 5 pound brown and before long another 2 smaller fish, a brown and a rainbow. We putted around till lunch time and landed two smaller fish which she let go and we dropped another 2. A great trip except for the fact she did me 5 to 1. Sizes were 4 3/4pound , 3 1/4 pound , 2 pound and three fish at 1 1/2 pound. All fish were weighed clean, so she did very well for herself. They were all very well fed with yabbies and small shrimp. Now she has her favourite Tassie and I guess I will be buying a few more. The bait fishing in Eucumbene has been fantastic and will continue with the rising water. Scrubworms have been doing very well as have Powerbait and Gulp bait. Grubs will also be a great bait especially for browns that are starting to search the flooding bays. *Below Dylan Dwyer caught his first ever brown trout with his dad. The fish ate a scrubworm and provided plenty of excitement for all. Mudeyes are currently available and should provide some good evening and early morning fishing especially when the weather warms. *One customer this week did quite well on Mudeyes in Jindabyne. He landed some very nice fish but the little atlantic salmon moved in and ate up the last of his mudeyes. He was last seen returning with more bait for a re match.